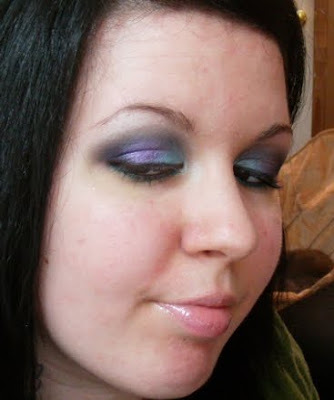 I created this look using colors from Urban Decay's Alice in Wonderland Book of Shadows - Alice, Underland, White Rabbit, and Jabberwocky. I also used the 24/7 Glide-On Pencil liners that came with it. Check out the tutorial in the link below!